You Have An Oxygen Sensor Code, Now What? Many factors can cause a spark plug to fail; from incorrect heat ranges to improper gapping, to chemical contamination. Yet 90% of spark plug damage claims are due to improper torque. Proper installation torque is critical in the plug’s ability to dissipate heat out of the combustion chamber and into the cylinder head. Not using a torque wrench when installing plugs can lead to over-torquing or under-torquing a spark plug, which will cause damage to the plug and possibly the engine. It’s critical to follow the manufacture’s torque specifications when installing a plug. Make sure to use a torque wrench that corresponds to the torque specified on the packaging of the spark plug. Specifications vary by seat type, thread diameter and cylinder head types; so make sure to account for these three factors when installing a plug. The difference between an over-torqued or under-torqued spark plug, is often using an incorrect tool or not using one at all. 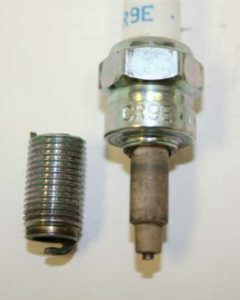 An under-torqued spark plug will not make full contact with the cylinder head. This reduces a plug’s ability to transfer heat and will result in elevated combustion chamber temperatures. Such temperatures can cause pre-ignition and detonation and lead to engine damage. Excess vibration and subsequent damage to the ground electrode and terminal nut may also occur. An over-torqued spark plug can cause stress to the metal shell, leading to thread damage or breakage. Over tightening can also compromise a plug’s internal gas seal or even cause a hairline fracture in the insulator. Such damage results in problems similar to an under-torqued plug: improper heat dissipation or exhaust gas blow-by. In addition to using the correct torque wrench, take care to clean the area around the spark plug hole with compressed air and make sure the plug thread is free of lubricant and carbon build-up. 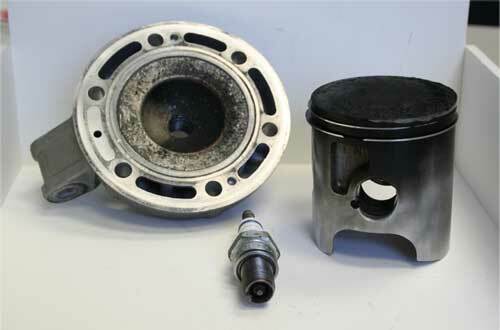 Torquing against debris and build-up around and on a spark plug prevents the plug from making full contact with the cylinder head, even if a torque wrench indicates otherwise. Secondly, avoid using chemicals during installation. Refer to the manufacturer’s recommendations on use of anti-seize, as it’s not recommended for all plugs and may cause thread shell damage. Lastly, make sure the engine is cool before installing or removing a plug to avoid damaging to the cylinder head. Remember anything interfering with the torque process can cause a plug to fail or worse, engine damage. For more information or questions about installing spark plugs you can reach out to the NGK Technical Support line by calling 877-473-6767 or visit them on the web at www.ngksparkplugs.com.